How Do I Get Sole or Full Custody of a Child in Florida? How can I get sole custody or full custody? The Florida courts will not allow a complete “cut off” of the other parents right to see their child, have overnights with their child, or have a relationship with their child or to make decisions regarding the child. What the courts WILL DO is implement common sense provisions to protect a child. The courts can give a parent shared responsibility with one person making the tie breaking decision if they cannot decide on an issue, supervised visits, daytime visits, or sometimes no visits until a condition is met such as mental health evaluations. The realistic outcome for people that want what they call full custody/sole custody is that the other parents responsibility and or time sharing is limited in certain ways. no longer used in Florida since 2011. Attorneys who have been practicing for a very long time still call it custody and essentially it is the same thing. You will need a good custody attorney , one that believes in you and a compelling story. It will be an uphill battle and many people will fail. But if the other parent is unstable, unreliable, on drugs, or simply dangerous and you have recent documentation of this – sole custody (or parental responsibility/ majority time sharing) may be an option. What is Sole Parental Responsibility and Time Sharing? The decision-making authority to determine when or where the other parent will see their child and how often they see their child and who will be around the other parent when they see their child. First, an explanation of exactly what is sole parental responsibility and time sharing is. There is a lot of confusion among parents in Florida as to exactly what they should call their desired vision of parenting. child, you are parenting your child. Parental responsibility defines who makes the decisions about the child such as where they go to school, what medical procedures they are going to have or doctor/dentist they will see, or medication they will take. The parent who is going to make the “big picture” decisions regarding the child. The courts generally give both parents shared parenting decisions and generally this isn’t a problem. In real world application, the parents make decisions regarding their child during the time that they have the child. This concept requires the parties to notify the other parent of doctor’s appointments, dentist appointments and educational issues. It basically requires you to make each parent informed of the “big picture” issues in your child life. children and did not attend any of the activities. The Judge determined that these activities were good for the children and ordered that the Mother have sole parental responsibility over the children’s extra curricular activities. This eliminated the Mother’s issue regarding her need for Sole parental responsibility (sole custody). Another instance where the Courts have awarded a parent sole parental responsibility is when the parents have been arguing over a situation such as a medical procedure. For example, One parent has specific religious beliefs regarding modern medicine and the child has some diagnosed medical conditions that one parent does not believe they should be taking medications. The Judge may award one parent to make all the medical decision making in a case such as this. In general, it is best to be a parent, notify the other parent of medical and school issues that happen during your time. The fights over parental responsibility are few and far between when the parents actually start the time sharing schedules. Some parents believe sole custody is akin to the concept of completely terminating the other parent’s rights. That belief is not realistic or achievable in family law court – except under extraordinary circumstances and even then, the parents will be allowed supervised visitation or visitation upon meeting a certain condition. Only an attorney can gauge if that outcome is a possibility. Normally it is not. The Ayo and Iken legal team will give you a realistic opinion whether that particular goal is possible. Get to know us: Claudia Blackwell, Esq. In 2014 and 2016, the Florida House and Senate attempted to pass a bill that would reform alimony. However, slipped into this bill, and a subject that does not get talked about when the subject of Alimony Reform Bill is talked about is the Fact that the new bill, if it became law, would require the Courts to start at a point of 50% parenting time for each parent. Since 2014, the trend in most Courts is towards more of a50/50 parenting time split. The language in the new bill stated “in establishing a parenting plan and time sharing schedule, the Court shall begin with the premise that a minor child should spend approximately equal amounts of time with each parent.” Depending on your client this can be a good or bad thing. However, this bill once again did not get signed by the Governor so the Courts still must look at the best interest of the child. Right now each judge has specific tendencies towards time sharing, therefore, once again, it is important to know that your attorney is familiar with the judge you are in front of. A restriction on overnight visits if there are extreme circumstances such as drug abuse, dangerous criminal activity, or questionable living quarters. Supervised visitation – only if there is absolute documented proof showing the other parent is a danger. Supervised visitation is very hard to get. Sometimes it is perfectly justified and the job of the Ayo and Iken legal team will be to convince the judge why the child would be in danger otherwise. But many times a request for supervised visitation may “boomerang” on you and hurt your changes in the overall case. One-sided decision-making authority – if you can prove the other parent does not have the capability to make rational, child oriented decisions. This is very hard to prove and document. Furthermore, it has to be a consistent behavior and not a one-time example. This is disfavored by courts but does happen day-in and day-out. The courts are complete against the concept of sole custody. In order to achieve any of the listed outcomes you must have a clear, urgent, documented by a respectable source, reason why the court should do exactly what you want. This is not an easy task for anyone to do. Self-represented parents are unlikely to get anything resembling sole custody. The evidence must be clear, must be compelling, and must be absolutely convincing. Within reason, parents can agree on a parenting plan that approximates the concept of sole custody and does not stray too far from court requirements. In general, a family law court will accept an agreed-upon parenting plan even if it is a bit unusual. The key of a good negotiated parenting plan is to put the equivalent of a “poison pill” that would activate if the other parent later reopened the case to modify their limited parenting rights. In other words, you need to have the documented proof to bring to the Courts if they parents were to modify the parenting plan at a later date. There are many practical, legal ways to do this. A creative custody attorney can work with you to find good combinations of terms for your agreement. Dependency Court is a parallel legal process that has its own unique court. 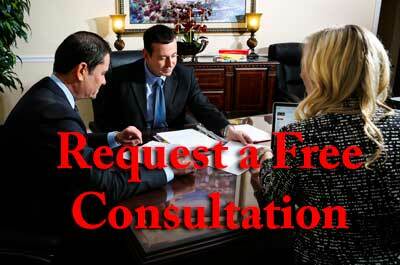 Dependency Court exists in every Florida County. This is the court where custody issues are decided when children are removed from parents who have been deemed to have abused abandoned or neglected their child or children. More often than not Child Protective Services is involved. Dependency Courts move quickly and decisively in child safety matters to remove the child and slowly and methodically to place the child back with the parent. Generally parents have to comply with completing a case plan which includes many classes and criteria before even lengthy visits with your child resumes. Even though the Florida statutes governing dependency court do not reference “sole custody,” the concept is well-used and alive. Dependency courts award sole custody on a frequent basis and is generally the most common place where the concept of sole custody in which the other parent is completely cut off is seen. Parents should think carefully before they get involved in the dependency court system. The courts provide free attorneys to parents involved in dependency court. But those attorneys are underpaid and overworked. Furthermore, the Courts can make drastic decisions regarding your children with very little information. If the safety of a child is at stake, a private attorney is always the best thing. Ayo and Iken has several attorneys experienced in the complexities of the Florida dependency court system. If there is a final judgment in place that provides a situation akin to sole custody, it is always in danger of a parent reopening the case for modification. No matter what the circumstance the courts always go back to the guiding principle: that both parents should be involved in the life of a child. If one parent has minimal rights under a custody order or parenting plan and reopens the case for modification – it is difficult and complex to completely stop their efforts. But the ultimate deciding factor will be the evidence presented in court. If you originally hired a creative attorney, use a “poison pill” provision to discourage the other parent from reopening the case. This can include clauses that trigger certain financial conditions once a case is reopened. Gather proof and information that shows the other parent is still a danger. This cannot consist of he-said, she-said evidence. The proof must be substantial and documented. Ask the judge to require drug screens, hair follicle tests, substance abuse evaluations or psych evaluations. Judges are reluctant to order these conditions – so your proof must be extremely convincing and DOCUMENT, DOCUMENT, DOCUMENT. It must show there are drug or psych issues before the judge will order actual tests. Our law firm gets occasional requests to terminate the other parent’s parental rights. This can only be done in dependency court, is extremely tricky, and takes a year or more. A family law court will not normally terminate the parental rights of a parent. Under normal circumstances, a parent cannot consent to termination of their rights unless in the case of a step parent adoption and even then it is very difficult and you have to prove abandonment or possible harm to the child. Without the other parent consenting or agreeing, it is very difficult. Furthermore, we often get calls from Father’s wanting to terminate their rights because the Mother won’t let them see the child and/or they don’t want to pay child support. A court will NOT terminate the rights of a parent just because they want to, unless there is a person willing to simultaneously adopt the child. In cases of step parent adoptions and termination of parental rights. The Florida Courts have combined the two procedures. However, these cases are very tedious a to the correct paperwork and is best to have a qualified Attorney prepare the documents and lead you through the courts. Prioritize your desires – realizing that you may not eliminate the other parent out of the child’s life. Decide what is the action you are trying to prevent so the settlement agreement can provide safety precautions. Determine how important sole custody is – and how hard you want to fight. It will generally require experts such as paid guardian ad litems, and/or custody evaluators, to make recommendations to the Court. See if there are alternatives. There are always alternatives to any worthy goal. Take a realistic look at your proof to see if it is tangible and convincing. You will need current, documented and relevant information. In a practical sense the key is to strike while the iron is hot. Don’t wait until the parent has corrected the situation, however, also realize, that once you bring the action that is concerning you to their attention in a petition, the other party generally fixes the situation. Determine a budget and discuss this with your attorney. If sole parental responsibility and time sharing is what you are truly seeking, you will need experts and documented history of issues. You will not get sole parental responsibility and time sharing just because you morally feel the other parent’s behavior is wrong and damaging, we need documentation as to the effect the behavior is having on the children. This will come in the form of expert witnesses and documented behavior of the other parent. Also, it is important to get an Attorney who knows and works in front of the judge you will be in front of often. For example, a judge in one county may take any form of substance abuse very seriously and order hair follicle tests and substance abuse evaluation based on your testimony, but a Judge in another county may not take substance abuses, such as marijuana use as serious. So knowing your Judge and their hot points is important. For example, a client was concerned about the fact that the Father had firearms in the home. She was insistent that the Father should not have the child at his home due to this fact. However, I have been in front of this Judge prior and knew that he was a card carrying member of the NRA. I advised my client that this issue would backfire on them if brought in front of this judge. The Florida courts may not actively encourage your goal to have sole custody. And the statutes have eliminated or obscured the concept. But a lot of what you want is achievable if you go about it the right way. You need to think carefully, make the important decisions, and retain an Ayo and Iken attorney that will fight for your cause. You can get sole custody in rare situations. It is difficult but not unheard of. You will need a good custody attorney that believes in you and a compelling story. It will be an uphill battle and many people will fail. But if the other parent is unstable, unreliable, on drugs, or simply dangerous – sole custody (or full custody) may be an option. First, an explanation of exactly what is sole custody is. There is a lot of confusion among parents in Florida as to exactly what they should call their desired vision of parenting. The Florida family law courts and custody statutes define two separate but linked issues: parenting time, and parental responsibility. Parenting time defines with parent receives time with their child and what the contact schedule will be. Parental responsibility defines who makes the “big picture” decisions about their child. The decision-making authority to determine when or where the other parent will see their child. Some parents believe sole custody is akin to the concept of completely terminating the other parent’s rights. That belief is not realistic or achievable in family law court – except under extraordinary circumstances. Only an attorney can gauge if that outcome is a possibility. Normally it is not. The Ayo and Iken legal team will give you a realistic opinion whether that particular goal is possible.